As we are starting 2017, we want to let you know about all the Appery.io resources available to you, to help you build you app faster and easier. These resources are being updated with new content all the time, so we definitely recommend subscribing to updates or following them. This way you will be always up to date with what is happening. Let’s get to the resources. The docs site is the most important resources (obviously). The docs site contains the platform documentation, tutorials, and API reference section. We regularly update the content on this site. If you find a typo or an error, please use the Suggest Edits feature to tell us about it. The docs site has a blog section (http://docs.appery.io/blog) where we usually post technical information such as API updates or library updates. The information is usually very technical and specific so it doesn’t go on the main blog. We will also post links to tutorials and videos. The blog is one of the most important resources you should read. This is where we post platform updates, announcements, new videos, new tutorials, case studies and anything else. We definitely recommend you follow the blog to stay up to date. Following the blog is very simple. You can subscribe via the RSS feed or subscribe via email (you will get an email every time a new post is published). Most of our videos are no longer than 15 minutes. This allows you to learn about a topic, feature or benefit very fast and you won’t be bored through an hour long example. Our community forum is the place to get help, ask questions and help your fellow Appery.io developers. Appery.io platform status page shows each platform component and its current status. It’s important to bookmark or follow this page via RSS to always know the status of each component. Twitter is where we post important announcements, platform updates, new tutorials, case studies, new videos and anything else. We recommend to follow up on Twitter to always stay up to date. Facebook is very similar to Twitter. On Facebook we post important announcements, platform updates, new tutorials, case studies, and new videos. We recommend to Like us Facebook to always stay up to date. On our LinkedIn Company Page we post announcements, new tutorials, case studies, and new videos. Yes, we are still on Google+ :). This is a new resource and we will be posting a lot more in 2017. And a bonus resource is our What’s New panel. The What’s New panel can be opened from any platform page from the header. The panel shows you the most recent updates, tutorials, and videos. Check this resource often to learn what’s new. Did AngularJS Borrow Some Concepts from JSF? 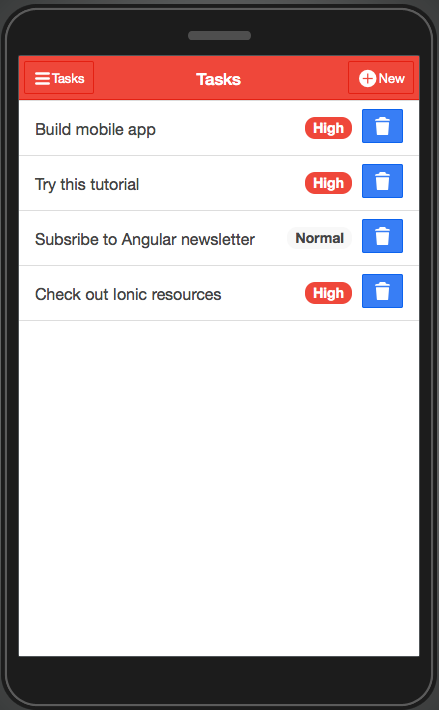 Since Appery.io added support for Bootstrap and AngularJS, I have been using these frameworks a lot. Many years ago I have been using and teaching JSF and RichFaces frameworks. Surprisingly (or not), I see some concept similarities between AnguarJS and JSF. Obviously AngularJS and JSF are very different frameworks, but they do share some concepts. Let’s look at a simple example. AngularJS defines the name model via the ng-model directive. The directive extends the functionality of HTML input element. JSF defines the name model via the managed bean. <h:inputText> component extends the functionality of HTML input element. AngularJS provides directives to extend HTML markup, JSF provides UI components to extend HTML markup. As you can see some of the concepts are rather similar even though the syntax is different. Both frameworks define a view (page) that is bound to an object in a scope. Obviously these are very high level similarities and you can probably argue that many other frameworks share the same concepts. One important difference between the frameworks is that AngularJS is a client-side framework while JSF is a server-side framework. Appery.io users can now take advantage of the dynamic imaging, responsive design, zoom and 360 imaging abilities of Sirv. Images of any size can be generated by Sirv within 1/10th of a second and served to perfectly fit the screen proportions of whatever device the user has. It’s the fast and reliable way to fetch all your image content for your mobile apps (and your websites, blogs and eBay listings). The Appery.io Customer Console allows app owners to edit app data and send push notifications. The app owner could be a business person who doesn’t necessarily want or need to access the development environment to make changes to the app data or send push notifications. Register for this webinar and more info. Join us for this Bootstrap Tutorial to learn how to build a complete mobile app with the Appery.io cloud platform. We will build the mobile app UI with HTML5/jQuery Mobile using visual drag and drop builder. Connect to integrated mobile backend services, and to 3rd party APIs. 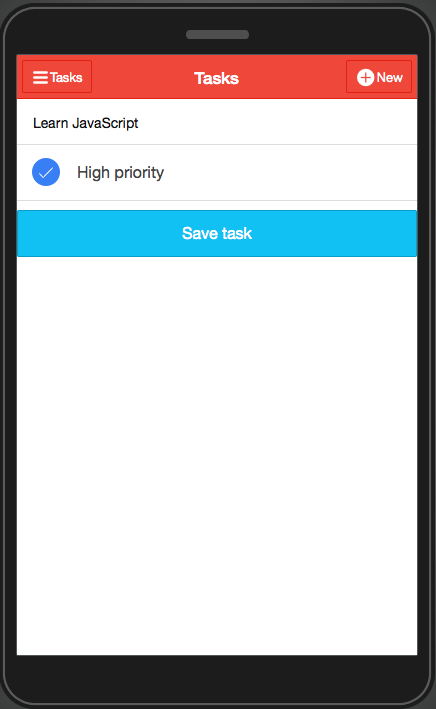 Use Apache Cordova (PhoneGap) for native device features, and deploy the app. This is a live coding session where attendees will be able to test the app as its being built.